There exists a world within the hearts and minds of each of us, already here, yet still awaiting to be born. It is felt as a calling to return to a state of being we have forgotten, yet never really lost. As we open to the unfolding of this dream we realize there is nothing to learn, only that which need to be remembered. Day by day, moment by moment, the seeds are being planted and we are finding the others. I dream of a world where all people join together in celebration of a common, underlying unity. A world where the boundaries of Self are expanded to include the “other”, rendering the very idea of violence forgotten. A world where generosity replaces accumulation, gifting replaces transactions, community is felt by all, laughter is abound, and spontaneous creative play is an everyday occurrence. No longer will life be viewed as a struggle to survive, but instead a playground for our dreams to thrive. Words seem to fall short, like throwing a rock at the stars, when I attempt to express the gratitude I feel for having been given the opportunity to experience a small expression of the world I have been dreaming of. My sense of gratitude arises from the confirmation of all that I have believed to be possible, my dreams coming true, at a place called Burning Man. In the middle of the Nevada desert, within a temporary community called Black Rock City, 68,000 people left behind the confining limitations of the “default” world and came together to co-create a new world of infinite possibility, limited only by our collective imaginations. 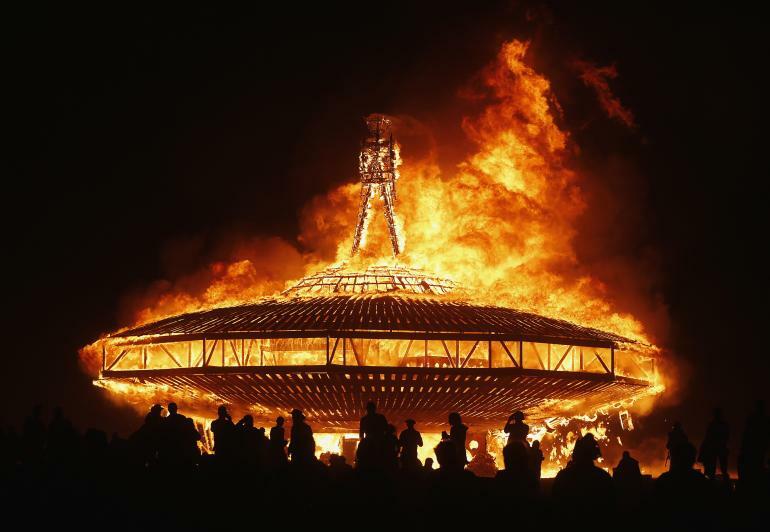 Burning Man is not a festival, event, or show. It is an experiment in temporary community. For one week, a thriving metropolis emerges out of the desert dust, only to disappear again without a trace. Hundreds of hours are poured into creations by people motivated only by their innate desire to give what they love most. The awe and reverence felt through the interactions with the artistic creations begin to break down the divide between art and life. Their beauty only further reinforced through the realization of its impermanence – much of the art is consumed by fire. Beauty is reduced when attempts are made at preservation. Beauty can only be felt in the aliveness of this present moment. Money is not accepted or used. Instead, we learn to follow the inspiration of our hearts in order to expand the boundaries of self through the gift. 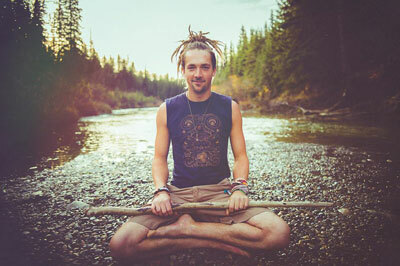 A real sense of community is created when we come together and co-create through the free expression of our own unique gifts. And it works. Everything one could possibly desire is provided and comes alive when we all follow our passions. Connections are made through the felt presence of shared direct experience – creation replacing consumption. Anyone can consume; only you can create your gifts. Giving authentically, without imposed conditions, provides a space for enduring relationships to blossom. We learn to store our food in the bellies of our brothers and sisters. Gratitude endures. Experiencing a new story, one that demonstrates an international coalescence of heads, hands, and hearts functioning cohesively, begins the breakdown of the dysfunctional insanity seeping out of the wounds of our world. We act from our hearts, from a desire to create beauty for beauty’s sake. Why would I give to you, if there is a chance of receiving nothing in return? Because deep down we know a universal truth: more for you is more for me. Nothing that happens in Black Rock City makes any sense from the perspectives and assumptions embedded in our culture, and yet, all of it feels so familiar, so natural. We begin to open to the expansive web of gratitude that holds the universe together. I believe that what really makes Burning Man so magical is that it has 68,000 people contributing to its creation. Participation is one of the ten principles and all are encouraged to give in whatever way they choose. Perhaps today you choose to give bear hugs. Maybe you love to listen and give the gift of attention. One day your warrior spirit can emerge and you offer your dance to the Earth. Craving some midnight poutine? A spritz and a spanking? Snow cones? Even a new form of learning is available through the hundreds of workshops being offered over the week. Abundance awareness is expanded from the material to include the intangible: time, joy, love, beauty, connection. Black Rock City becomes a playground of possibility that ends the divide between work and play, art and life, survival and giving, learning and experience. Letting go of the need to “see it all” is essential – even after a week of exploration it feels like I barely scratched the surface of potential experience. Letting go of the need to “know what it is and how it works” allows the magic to endure and expand. Letting go of the need to create the perfect moment allows the unexpected to emerge organically. Play, laugh, enjoy, create, experience for no reason other than that you have been gifted the opportunity. Acknowledge and honour the challenging times – the Burn is a rite of passage – a week long endurance that will test your resolve at all turns before the burning of the man on Saturday night. The light and the dark are both parts of our journey here in this life. Let go and ride the waves. As each of us depart Black Rock City, our bodies worn and our hearts opened, we carry with us a seed from a magical place. We are a drop of water returning to the larger ocean, inspired with a renewed zeal to create the more beautiful world our hearts know to be possible. As mythological story tellers painting on the open canvas of our lives, we continue to spread the love and openness that we feel called to share with each of our own communities, watering the seeds so that they may one day blossom. All walks of life are represented at the Burn. All walks of life are transformed through the Burn. One step at a time.